With summer upon us and school out, I feel I can finally breathe a sigh of relief. But not really. It's only about to get busier as the next couple of months are some of our most full ones! A few days ago, my husband and I were reminiscing about childhood family-fun traditions we had growing up. For me, it was getting take out some Saturday nights and getting to choose DVDs from Blockbuster (they still had those then!). It was always so fun and we looked forward to those nights as a family. Game night wasn’t as fun to everyone since there would usually be the more competitive of us left up at 2 am still trying to win Monopoly. Those games could last days, I tell you! As we move on from participating in family fun nights to having to be intentional about planning our own, these fond memories still play in our minds. Even when life gets hectic, we know how important it is to set aside time to bond and relax. For us, a family fun night isn’t complete without some kind of fun food and an activity we can do together - whether it be a rad board game or a great movie. When it comes to a fun movie night, we like to get creative to switch things up. Once we find the perfect movie (that usually takes a while), we start getting cozy. Sometimes we set up a blanket fort, and sometimes we use a projector to get a theatre-type feel. Blankets and snacks are a must, whatever we do. We are pretty picky about the movies we decide to watch and always go for true stories that are inspirational. If you like a good family-friendly movie too, be sure to check out Pure Flix for some wholesome, Christian and educational movies. You can try Pure Flix free for a month, which is a good thing since it might take you longer to decide on a movie than to watch one! You can pair your subscription with Plugged In Movie Reviews from Focus on the Family to get some in-depth and free reviews. And then, of course, we need snacks. We take snacks very seriously. Now that it’s summer, we hope to spend more time outside on the porch or around the fire pit making s’mores and roasting hot dogs. It's so much fun just hanging out outside and enjoying the heat of the fire. Hope you've been inspired to set some time aside to enjoy an evening with your loved ones. 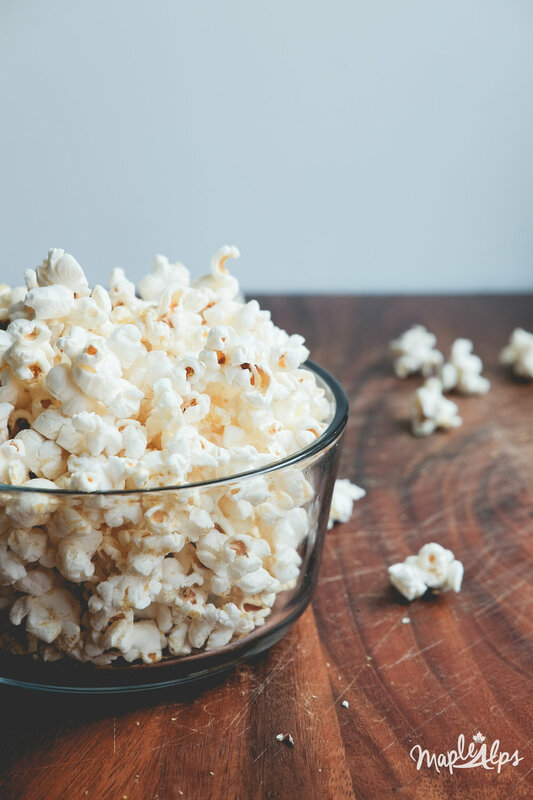 I’ve decided to share some favourites with you so you can get started right away with your family-fun movie night - and don’t forget the popcorn! I'd love to hear about your family fun nights too! Sign up to receive our Good Intentions Guide for more goodness in your inbox once a month! What do you do for family fun? I'd love to hear about it!